If you want to build your Goodreads presence, don’t set it and forget it. I have a good friend who’s a real estate broker. She will start a conversation with anyone and everyone, anywhere. Her family and friends are resigned to the fact that whenever they’re out in public with her she will have at least one conversation with a stranger over (1) something they’re wearing (2) their dog or (3) their kid. The interesting thing is she’s gotten clients and made valuable connections for her business because of these interactions. What would happen if you did something like this on Goodreads? Yet, most authors don’t really take advantage of a social media platform that’s all about books. They set up an author page, do a giveaway or two and don’t spend a lot of time interacting or posting about their own reading habits. The problem is, those are the activities that get you the results you want. Readers want to talk with you. What do you suppose would happen if you discussed your favorite authors and what you were reading with like minded people? What do you think would happen if you became a part of community that celebrates books? Over time, I suspect you might start getting more followers and referrals and book sales. Becoming part of an online community isn’t something you do one week and that’s it. This is a long-term project, part of your ongoing marketing plan. I encourage you to give it a try. If you’ve published your book, make sure your author profile is current. 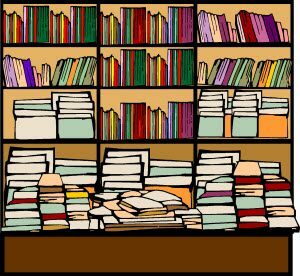 Fill out your “shelves” of books you’ve read and books you want to read. Add your Facebook and Twitter friends who already have profiles on Goodreads. When you start reading a new book, be sure and add it to your “Currently Reading” shelf. When you finish the book, change the status to “read” and add a rating and maybe a review. All of this info is posted to your timeline to be seen by your friends and followers. Check your news feed on your home page to see what your friends are up to. Post comments and start conversations. Join a few groups and spend a few minutes each week visiting a group and posting a comment or asking a question. Check back once or twice during the week to respond to comments. If you’re just not sure how to get going on Goodreads, check out my Goodreads for Authors class here. Next PostHow to Write An Author Bio That Doesn’t Scream Amateur!